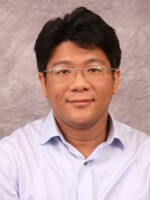 Dr. Tung-Sung Tseng, is an Associate Professor in Behavioral and Community Health Sciences at School of Public Health, Louisiana State University Health Sciences Center in New Orleans. Dr. Tseng is a Certified Health Education Specialist (CHES) / Master Certified Health Education Specialist (MCHES) and co-chairs the Ethics Committee of the Society for Public Health Education (SOPHE). He is an active member of the Tobacco Control Initiative (TCI), a multi-disciplinary program the specializes in helping tobacco users quit, in party by offering free or low-cost tobacco treatment services to all Louisiana public hospital patients, employees, and the communities they serve. He also serves as a member of Design and Analysis Core, LSU’s Improving Clinical Outcomes Network and Stanley S. Scott Cancer Center. His primary research interests include tobacco control, childhood obesity, gene-environment interaction, risk behavioral patterns, health promotion interventions and evaluations, health disparities, and cancer prevention among ethnic minorities and underserved populations. Associate Editor, Health Behavior and Policy Review, 2013-Present. Tseng TS, Lin H, Gender and Age Disparity in Health Related Behaviors and Behavioral Patterns Based on A National Study of Taiwan, International Journal of Behavioral Medicine 15(1):1-7, 2008. Kohler C, Schoenberger YM, Tseng TS, Rose L., Correlates of transitions in stage of change for quitting among adolescent smokers. Addictive Behaviors, 33:1615-1618, 2008. Tseng TS, Holt CL, Shipp M, Eloubeidi M, Britt K, Norena M, Fouad MN., Predictors of colorectal cancer knowledge and screening among church-attending African Americans and Whites in the Deep South, Journal of Community Health. 34(2):90-97, 2009. Bastida, E.M., Tseng, T.S., McKeever, C., Jack, L. Ethics and Community-Based Participatory Research: Perspectives From the Field. Health Promotion Practice. 11(1): 16-20, 2010. Tseng, T.S., Lin, H., Martin, M.Y., Chen, T., Partridge, E. Disparities in Smoking and Cessation Status among Cancer Survivors and Non-Cancer Individuals: A Population-based Study from National Health and Nutrition Examination Survey. Journal of Cancer Survivorship. 4(4): 313-321, 2010. Martin, M.Y., Kim, Y., Kratt, P., Litaker, M., Kohler, C., Schoenberger, Y., Clarke, S., Prayor-Patterson, H., Tseng, T.S., Pisu, M., Williams, O.D. Medication Adherence among Rural, Low Income Hypertensive Adults: A Randomized Trial of a Multimedia Community Based Intervention. American Journal of Health Promotion. 25(6):372-378, 2011. Tseng, T.S., Lin, H., Moody-Thomas, S., Martin, M.Y., Chen, T. Who Tended to Continue Smoking after Cancer Diagnosis: The National Health and Nutrition Examination Survey 1999-2008. BMC Public Health. 2012 Sep 14;12(1):784. [Epub ahead of print] PubMed PMID: 22974404. Lin, H.Y., Amankwah, E.K., Tseng, T.S., Qu, X., Chen, D.T., Park, J.Y. SNP-SNP Interaction Network in Angiogenesis Genes Associated with Prostate Cancer Aggressiveness. PLoS One. 2013;8(4), e59688: 1-9. Martin, M.Y., Evans, M., Kratt, P., Pollack, L., Lee, J., Oster R., Dignan, M., Prayor-Patterson, H., Watson, C., Houston, P., Andrews, S., Liwo, A., Tseng, T-S., Hullett, S., Oliver, J., Pisu, M. Meeting the Information Needs of Lower Income Cancer Survivors: Results of a Randomized Control Trial Evaluating the American Cancer Society's "I Can Cope". Journal of Health Communication. 0:1-19. 2014. Zabaleta, J., Velasco-Gonzalez, C., Estrada, J., Ravussin, E., Pelligrino, N., Mohler, M., Larson-Meyer, D. E., Boulares, H., Powell-Young, Y., Bennett, B., Happel, K., Cefalu, W., Scribner, R., Tseng, T.S., and Sothern, M. Inverse correlation of inflammatory markers with metabolic parameters in healthy, Black and White pre-pubertal youth. International Journal of Obesity.38(4):563-8, 2014. Bonis, M., Loftin, M., Ward, D., Tseng, T.S., Clesi, A., Sothern, M. Improving physical activity in daycare interventions. Childhood Obesity. 10(4): 334- 341. 2014. Zhang, L., Chen, L., Ferguson, T., Simonsen, N., Tseng, T.S. Racial/Ethnic Disparities of HRQOL among US Adult Self-Reported Diabetic Patients from NHANES 2001-2008. The Diabetes Educator. 40(4), 496-506. 2014.